In stock -This product will ship today if ordered within the next 13 hours and 7 minutes. 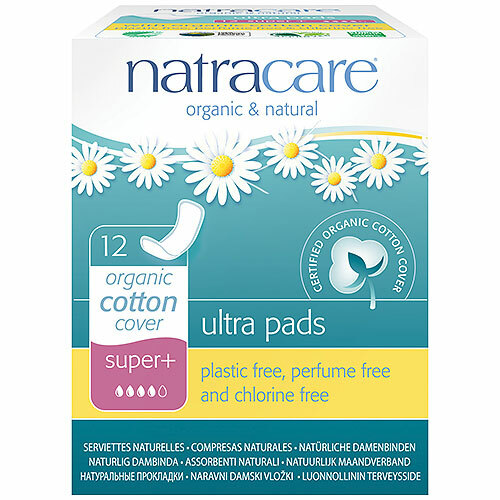 Natracare Ultra Pads are discreet, comfortable and reliable. They have wings to help them fit securely, and are individually wrapped in biodegradable purse packs for convenience. 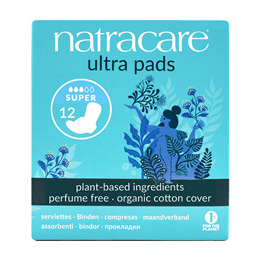 Plastic-free and totally chlorine-free, Natracare pads do not contain rayon, latex, chemical additives, fragrances or dyes. An ecologically certified absorbent cellulose core locks away menstrual fluid to keep you dry, and a soft organic cotton cover allows your skin to breathe. Many gynaecologists recommend Natracare for women with sensitive skin. Use as needed. Read enclosed leaflet. Below are reviews of Natracare Ultra Pads - Super Plus - 12 Pack by bodykind customers. If you have tried this product we'd love to hear what you think so please leave a review.